Rime ice, or freezing fog, happens when fog droplets in below-freezing weather freeze on contact when they collide with objects. We have been having lots of both fog and freezing weather in the current temperature inversion. These pictures were taken at Squak Mountain near Issaquah. 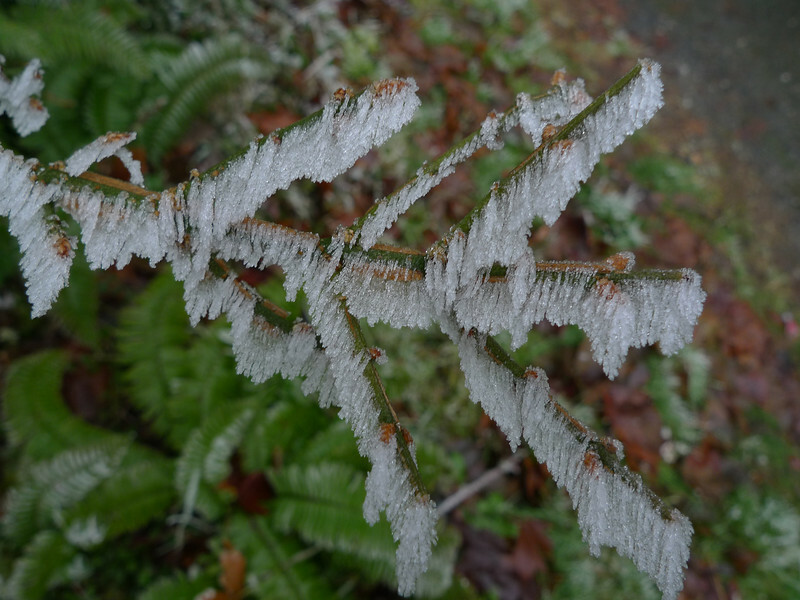 The ice accumulates on the upwind side of any object which intercepts the fog droplets, in this case the twigs of an ornamental Euonymus bush.